Stewart 2-for-2 In The Chase! 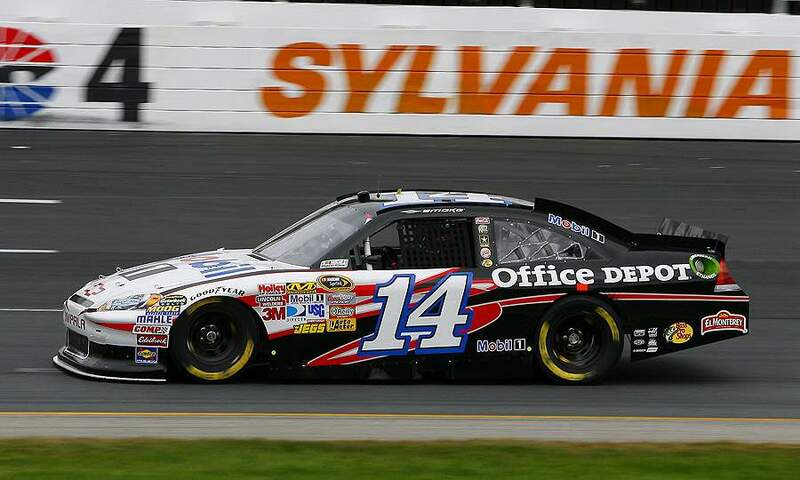 LOUDON, NEW HAMPSHIRE - It is turning out to be a good season for Mr. Tony Stewart. He is 2-for-2 in Chase races and has wrestled into first place ahead of Kevin Harvick. 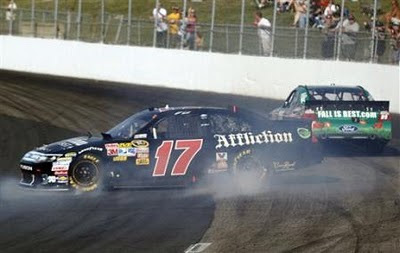 The final laps of the race were almost “déjà vu all over again” as Clint Boyer, then leader, began sputtering near the start-finish line. Last year, Boyer grabbed the lead as Stewart was the one who ran out of gas on the final laps. “I saw him slow down the back,” Stewart said. “I thought, ‘Oh, no, you’re kidding me.’ That’s not the way you want to win it, for sure. I feel bad for him. It’s fun racing him. It’s hard to lose them that way.” The rumor mills have been working overtime as to what Stewart meant by getting rid of some dead-weight” in the post race interviews. According to Stewart’s crew chief Darian Grubb, there have been no personnel changes so either Stewart dumped a girlfriend or he has been on a diet. Who knows? 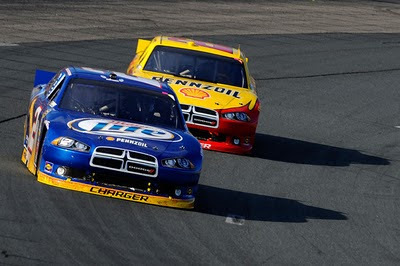 Brad Keselowski put in a great performance finishing in second place putting him third in points behind Stewart and Harvick. Keselowski ran a strategic race and was able to garner a winning pit strategy. "It's funny because 10 races ago, we left Loudon 23rd in points," Keselowski said. "Whoever thought we would be third in 10 weeks? I'd like to see some kind of stat for that, that's for sure -- but it's been a good road to travel down the last few weeks." The young Keselowski has taken a mature attitude and has endeavored to remain focused and stay calm. The team has been working hard making the needed adjustments to the race car. Let’s see if the young man can continue his performance. A title would be a great thing for this young man. Greg Biffle finished in third place followed by Jeff Gordon. 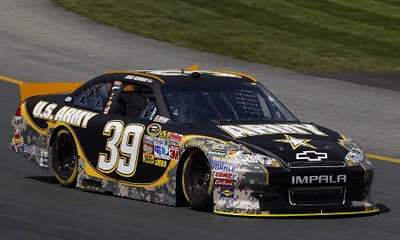 Brian Vickers rounded out the top five positions. 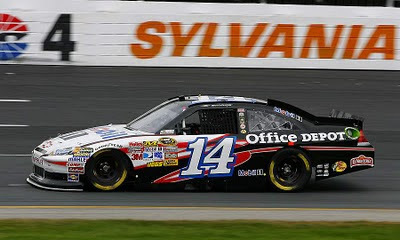 Starting from the pole, Ryan Newman ran an impressive 62 laps at the front of the pack, but began lagging behind as the pit stops began. Kurt Busch started the day poorly as he was stuck in tech up until a few minutes before the race as the inspectors questioned the rear end housing dimensions. The Penske team apparently satisfied the tech inspectors, but put Busch in a bad mood as evidenced by his complaining loudly about his car over the team radio and used an expletive on national TV. The Captain himself had to calm the Busch down so he could concentrate on the race. There was also an unfortunate incident between two of the Roush drivers as Carl Edwards tapped teammate Matt Kenseth causing him to slide and caused a caution on lap 173. Luckily, both drivers were able to regain position as the two Chase contenders managed sixth and eighth place. In related news, Katie Kenseth, Matt Kenseth’s wife broke her shoulder during a charity race practice session Monday night at Charlotte Motor Speedway. Katie was to race in the “Better Half Dash” on October 15, but crashed her car and was taken by ambulance to the hospital. Matt Kenseth “tweeted” that she had “a broken scapula and some bumps and bruises.” Katie commented that she experienced the “shortest race career in history.” The 25-lap charity race will feature many Cup wives and girlfriends before next month’s race at Charlotte. The joke is that with all the spouses in the event, there has been no sign of Danica Patrick’s husband. Hmmm. The second-place finish for Dyson and Cochran was good enough to claim the LMP-1 class championship as well as Manufacturer and Team titles. 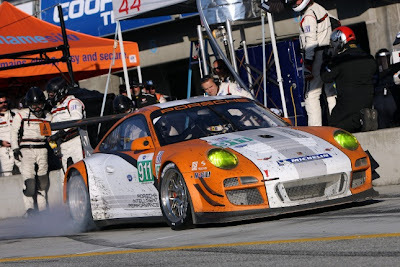 The team was plagued by several mishaps including a tire puncture and spin, as well as getting stuck in the gravel pit at the Corkscrew. 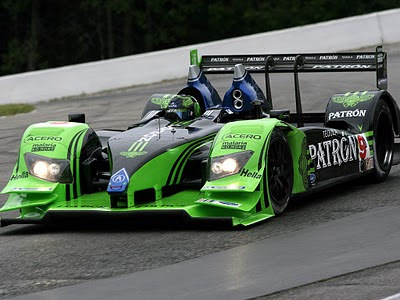 The Dyson-Oryx Lola Mazda of Kane and Leitzinger led the race early on but then made a series of unscheduled pit stops resulting in a drop to third place. The Muscle Milk AMR entry of Graf came in 4th, but 32nd overall. Not a great day for the Lola-Aston that experienced electrical gremlins for most of the race. 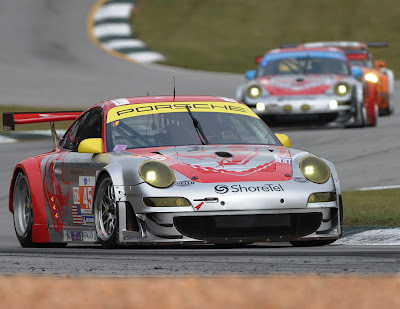 The GT class race was won by the Long/Bergmeister/Langenfeld driven Flying Lizard Porsche GT3, their second win in as many races. The end of the race was quite exciting with an aggressive challenge by the Risi Competizione Ferrari 458 piloted by Melo. 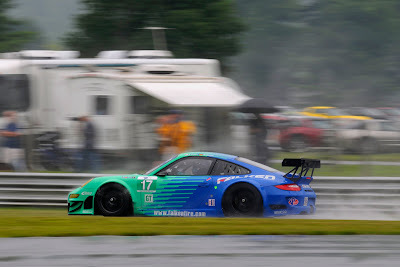 The Brazilian nearly pushed the Porsche into the wall as he tried to race for the white flag, but the Ferrari ran out of fuel on the last lap allowing Bergmeister and the BMW of Hand to claim first and second place class finishes. The second place finish gives Hand/Muller the drivers’ championship. “It was a lot of hard work and a tough season,” Müller said. “The team is fantastic. I think when you look back at what we did this year together, we knew what we needed to do, and we were really strong. I think we can be proud of that. We want to win the tire and manufacturers’ titles which are really important, so we’re looking forward to Atlanta.” Though the Ferrari crossed the line third, a 90-sec penalty was assessed by the judges for the contact with Bergmeister resulting in an official 6-th place finish. The Porsche GT3R Hybrid, running as an un-classed entry, posted a spectacular performance coming in ahead of all the GT cars. The increased fuel efficiency of the hybrid drive allowed them to run with two fewer fuel stops. “The start phase was huge fun, because it was relatively easy to overtake the slower competitors,” said Romain Dumas. “But it’s even more fun because we can apply superior tactics thanks to the lower fuel consumption. We are much more flexible and we made the most of this today.” Richard Lietz stated: “We had the least pit stops of all the teams and showed clearly what the Porsche 911 GT3 R Hybrid can do. We didn’t experience one technical problem and left all the other GT vehicles behind us. Our expectations have been far exceeded.” The California fans loved Porsche Hybrid and were quite taken when the Porsche claimed the GT lead in just a few laps. The Level 5 Motorsports Honda, the sole entry in LMP2, ran a very clean and trouble free race. 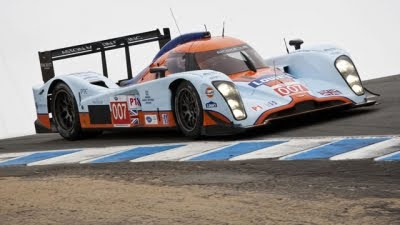 Christphe Bouchet posted a best lap that was only 1 second slower than the AMR Lola-Aston’s quickest time. 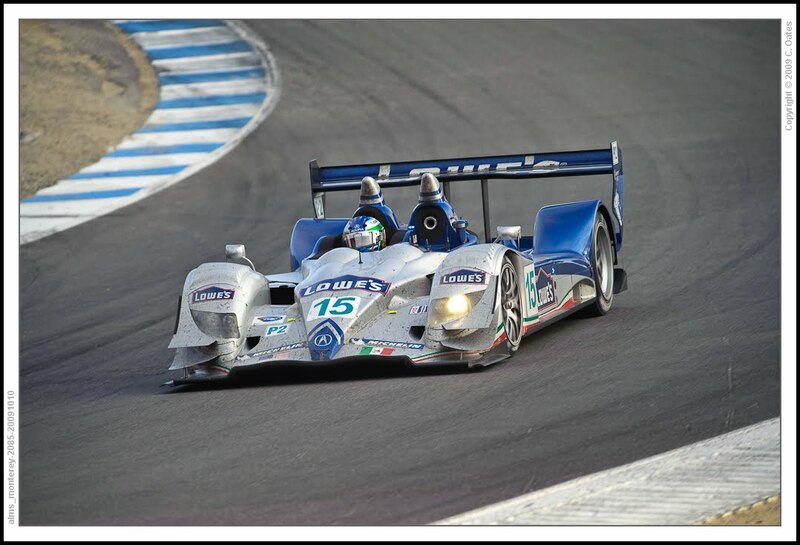 LMPC was won by the Genoa Racing Oreca FLM09 finishing a mere 0.329 seconds ahead of The Core Autosport entry. The TRG Porsche of Pumpelly/Ende took top honors in GTC keeping the championship alive until the Petit Le Mans at Road Atlanta. 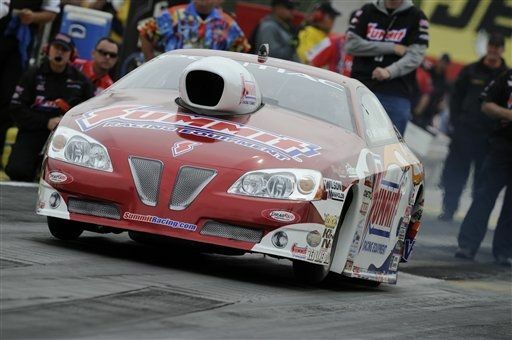 INDIANAPOLIS, INDIANA – Following his win in Pro Stock, Greg Anderson commented on his win at the Indy Nationals, “I feel like it’s my first and biggest win ever,” said Anderson. “Every time it happens up here, it’s just special; it’s just magic. I love this place. I think some of the other racers might miss out on how important it is and what it means to race here. There’s so much history here. It’s just everything about drag racing.” Having attended the race several times, I can say that Greg hit it on the nose. The sense in the pits is one of celebration. Yes, the competition is fierce, but the camaraderie amongst the racers is extraordinary. In the Super Stock pits, I once witnessed several racers come together to replace the engine in Charlie Westcott’s AA/H Hemi before the final round. One racer offered his engine, another his transporter garage and a dozen their service. Westcott rolled up to the line with seconds to spare and won the Hemi Shootout. This is the magic of Indy. 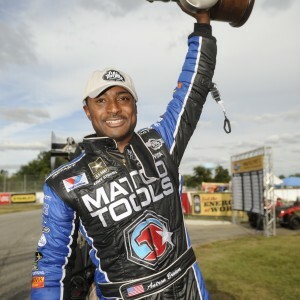 In the final race in the regular season, Top Fuel competitor Antron Brown has become the first driver to win at Indy in both Top Fuel and Pro-Stock Motorcycle. Antron was able to beat points leader Del Worsham with a 3.813 s, 321.73 mph run. 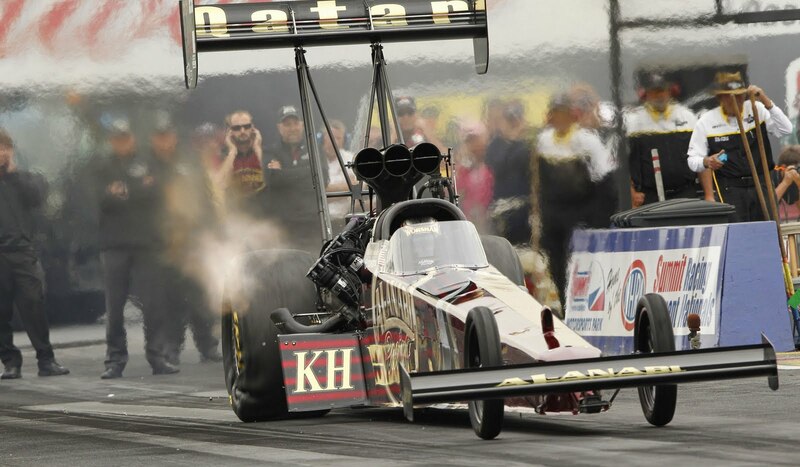 “To come here and win at Indy, the biggest stage in drag racing, means so much. It just goes back to my childhood dream and sitting under those grandstands as a kid and saying ‘I want to do that one day.’ It’s the greatest feeling I’ve ever had.” It wasn’t all bad news for Worsham who clinched the top spot in the Countdown to the Championship. 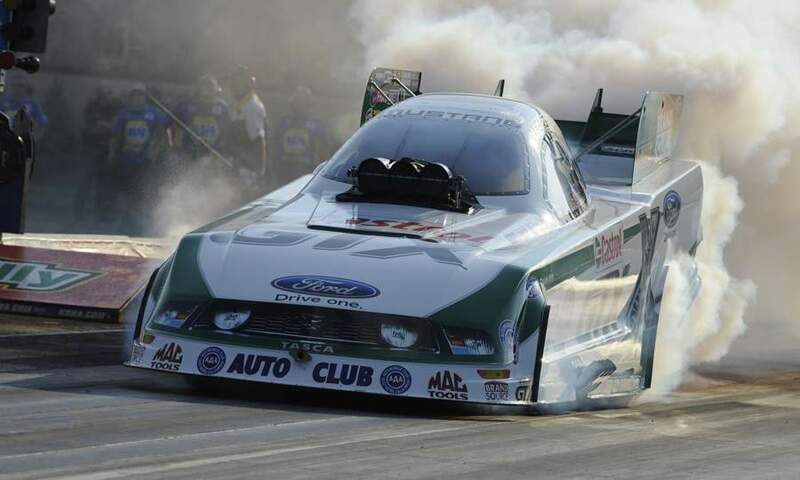 To win Pro Stock, Greg Anderson beat teammate Jason Line running a 6.552 s, 210.50 mph run. This is Greg’s 5th win this season and 70th career win. The KB Racing boys have really had a great year with Andreson clearly on top of the Countdown with Jason only 30 points behind. Mike Edwards is 10 behind Jason with Vince Noble and Erica Enders rounding the top 5. Interesting to note that 7 of the top 10 cars are Pontiacs.